This is a classic underground house taking advantage of the earths thermal qualities whilst open to the south (northern hemisphere) for heating and light. This half undergound house demonstrates you can have your cake and eat it too! A modernist design with a degree of earth coverage. The Byron Bay district offers great potential to develop the internationally acclaimed earthship (biotecture) house designs. This earthship is being constructed in Terraeden, Australia. It’s a small scale Earthship inspired studio giving practical demonstration of biotecture principles such as building with natural and recycled materials as well as thermal/solar heating and cooling. Gold Coast Architects can find some new directions at the 2014 Venice Architecture Biennale. Eleven unrealised Australian architectural projects will finally be constructed as part of Australia’s exhibition. The above waterfront restaurant provides an exciting ambience as well as novel sun shading . 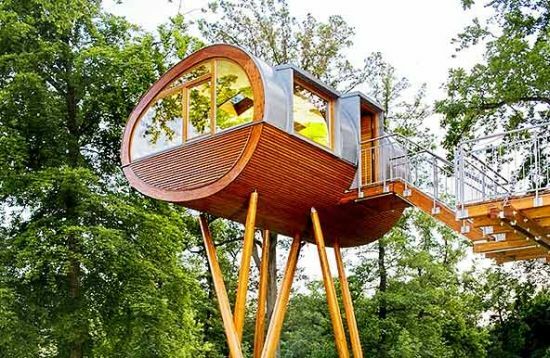 As promised in my blog intro these are some of my favourite tree houses which I would feel quite comfortable living in!! They would sit quite comfortably in the Byron Bay Hinterland with views to the ocean or Mount Warning. 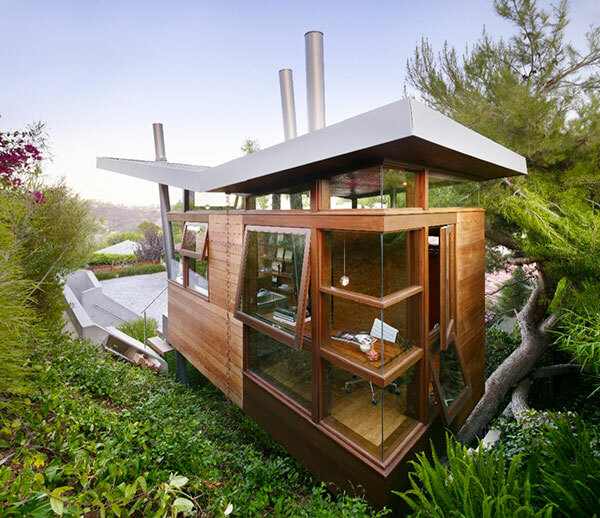 Besides the romantic notions of tree houses and tarzan associations, the tree house archetype is an extremely sustainable construction technique and encourages a minimal carbon footprint lifestyle. I recently visited the Gold Coast Swell Sculptural Exhibition and was totally inspired by the opportunism of these imaginative pieces of art. I am hoping the images crystalise into my subconscious for future architecture designs in the Gold Coast and Byron Bay areas. Some excellent sculpture inspired architecure in the Gold Coast area can be seen at Gold Coast Architecture. Translucent stone and the newest glass technology create a means of generating and manifesting both the physiological and spiritual delights of natural light embodied in architecture in this South American Bahai Temple. 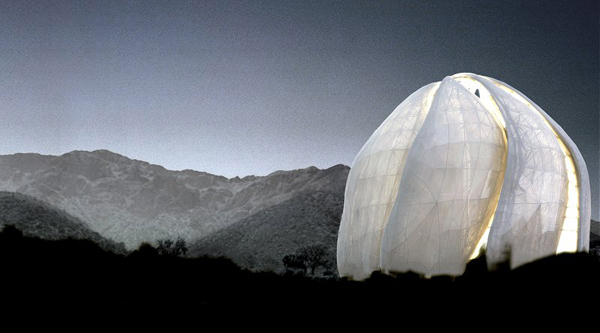 Set against the stirring background of the Andean mountain range, the new Temple is to be a crystallizing of light-as-expression, an evanescent structure of white alabaster and glass: a place of pure luminescence. These oversized acorn cones and giant banksia pods are part of the Pod Playground at the National Arboretum in Canberra. Why do children get all the fun spaces to play in? When did we lose our wonderment and insist on living and working in sterile boxes closed off from the natural environment and filled with electronic devices? 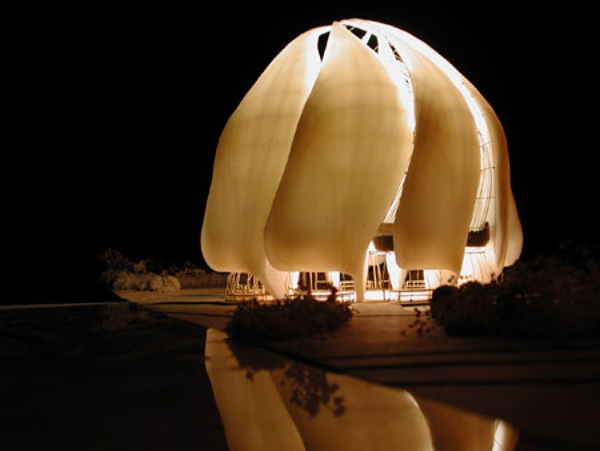 This blog is for discussing and exposing crazy, cosmic and inspired architectural ideas. 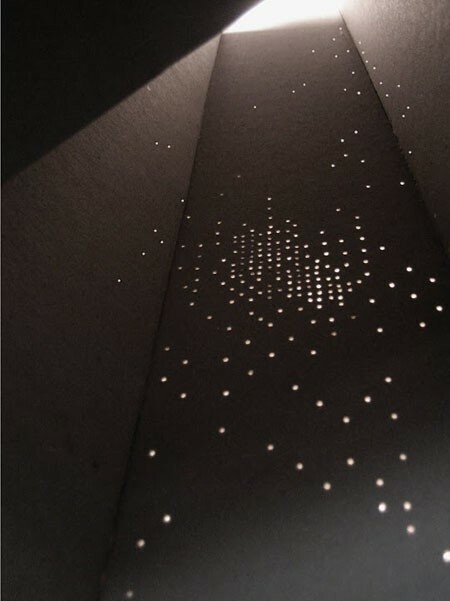 It is for sharing our passions of magic and creativity that beholds our sense of wonder in the world. I will be sharing snippets from across the globe from zen tea houses perched in tree tops to environmental earthships built in the desert.